Board of Control for Cricket in India (BCCI) will announce their 15-member World Cup squad. The press conference will be led by chief selector MSK Prasad, skipper Virat Kohli and coach Ravi Shastri. Most of the players will be from the recently played ODI series against Australia and New Zealand. 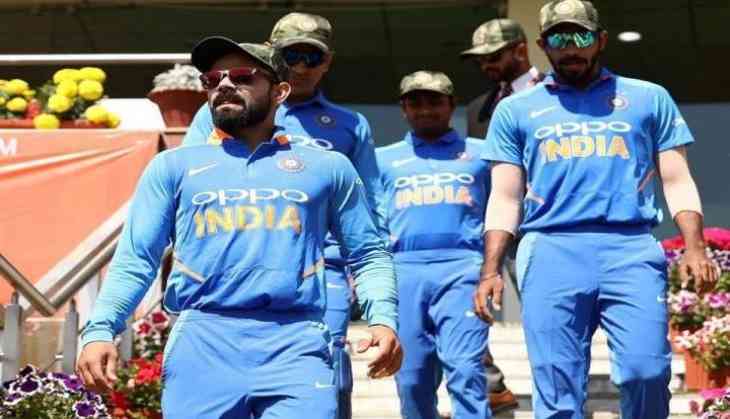 BCCI is currently facing a dilemma for the number 4 spot in the team as they will have to choose between KL Rahul, Ambati Rayudu, Dinesh Karthik, Kedar Jadhav and Rishabh Pant. All of them are contenders for the spot but there may be some surprise inclusion. Rayudu is not in great form and has failed to perform well in IPL as well. Shreyas Iyer can also be a main contender to replace Rayudu for number four spot. Meanwhile, Delhi Capitals’ advisor Sourav Ganguly suggested that Rishabh Pant and Cheteshwar Pujara can be a good option for the spot. Vijay Shankar and Hardik Pandya will be fighting for the pace all-rounders’ position. Ishant Sharma is also in the contention after his fantastic performance against Australia in Tests and his form in the IPL. While Jasprit Bumrah, Bhuveneshwar Kumar, Kuldeep Yadav and Yuzvendra Chahal are likely to be in the team. The 2019 World Cup will take place in England and Wales. The tournament will start with a match between host England and South Africa on May 30. India will also play their first match against South Africa on June 5.